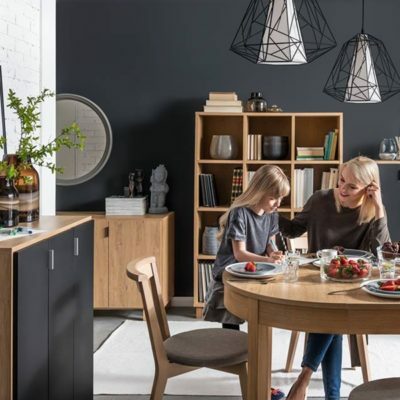 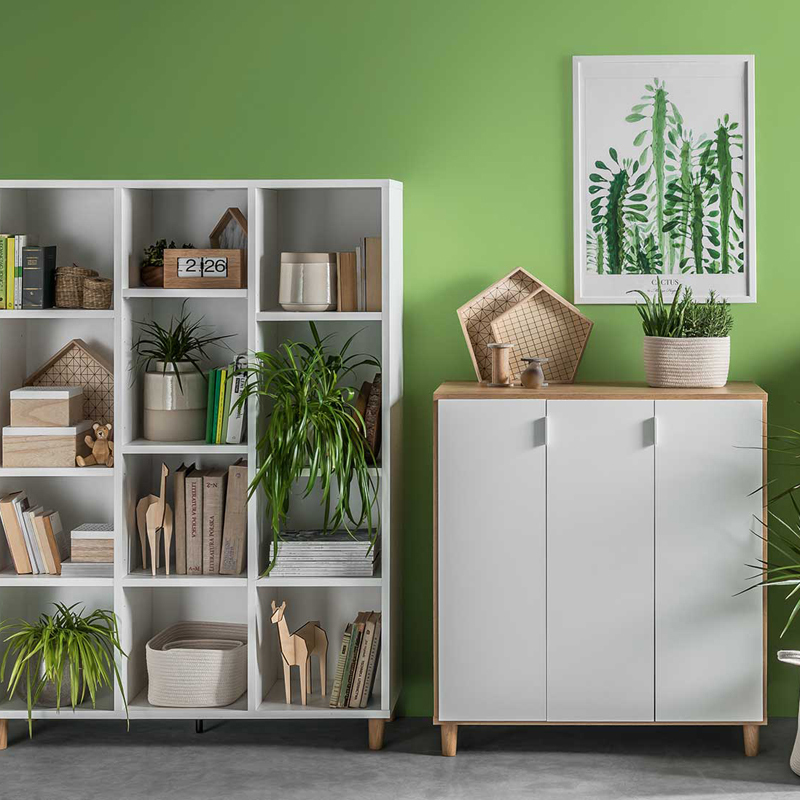 The Simple Cupboard - Oak & White from the Simple collection by Vox has specially selected finishes tailored to complement a contemporary environment. 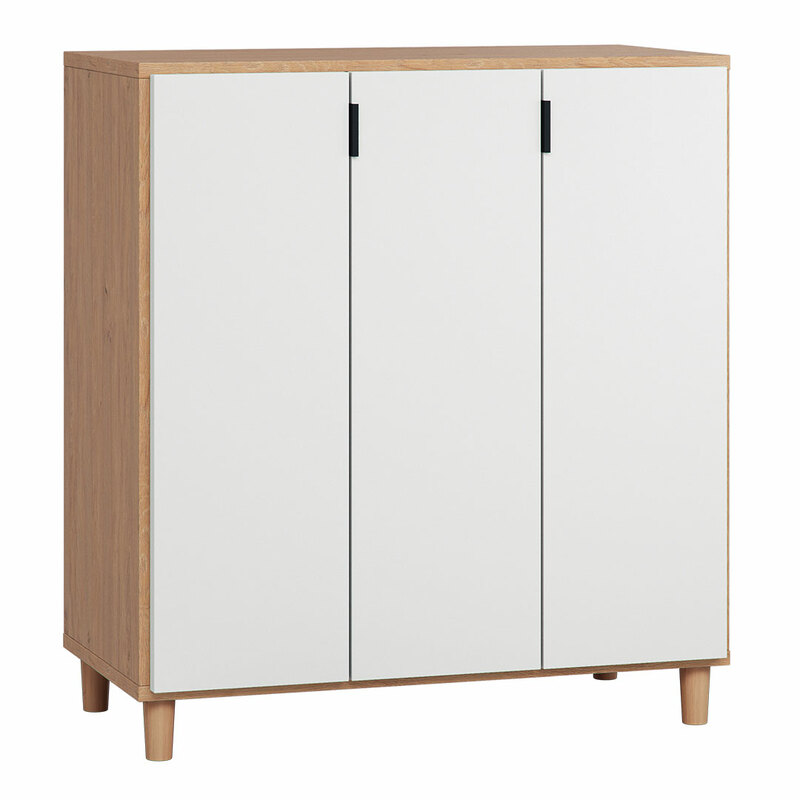 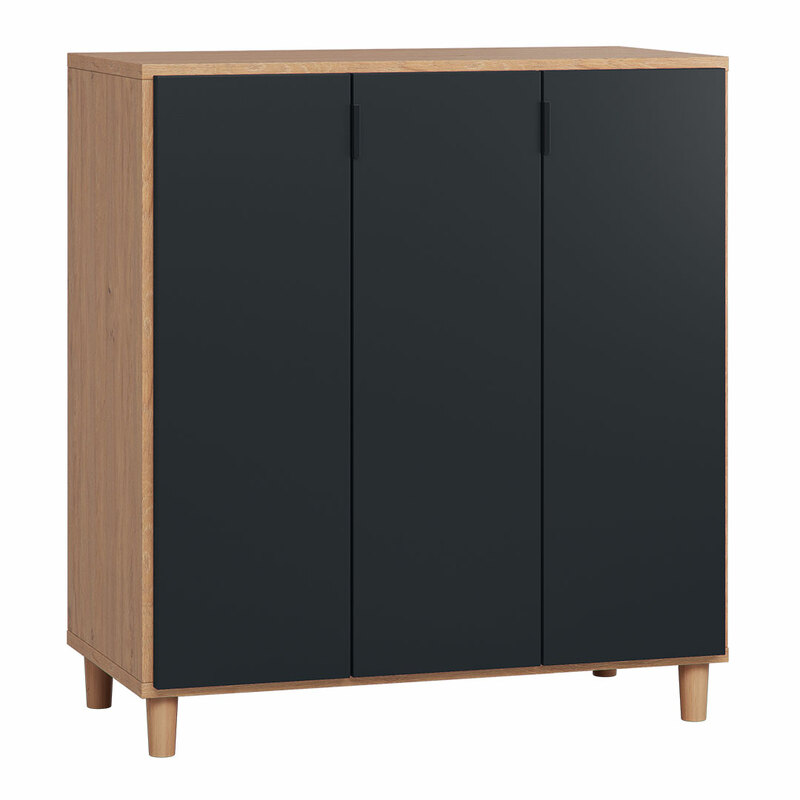 Perfect for the lounge, dining room or bedroom, this Simple Cupboard - Oak & White features durable materials and elegant contours. 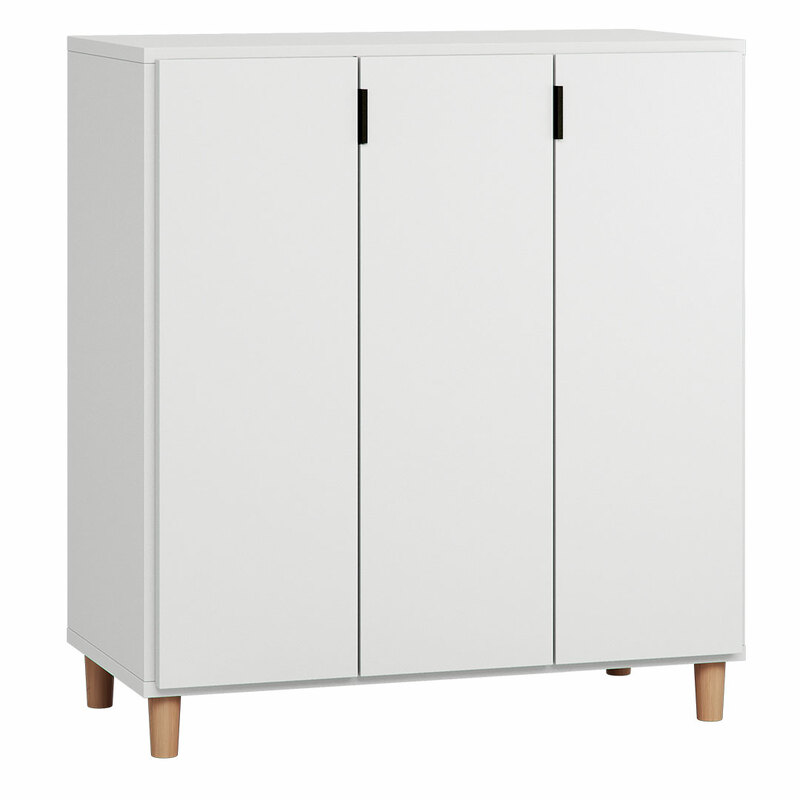 The oak frame and white easy swing doors combined with the sturdy wooden legs are both practical and on trend. 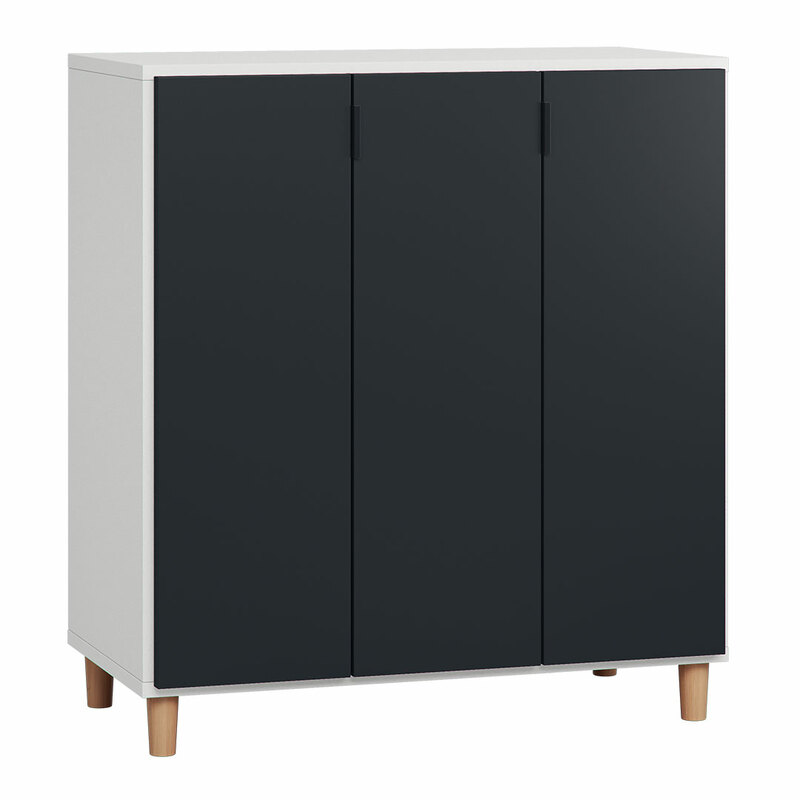 The doors have neat black handles at the top, opening onto three levels of spacious and adjustable shelves. 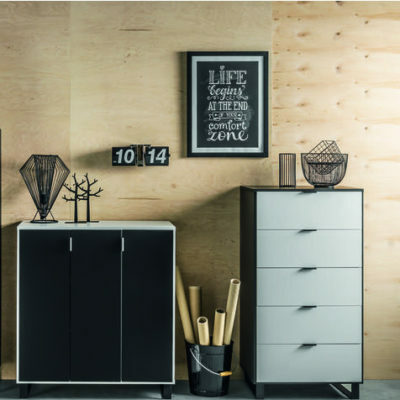 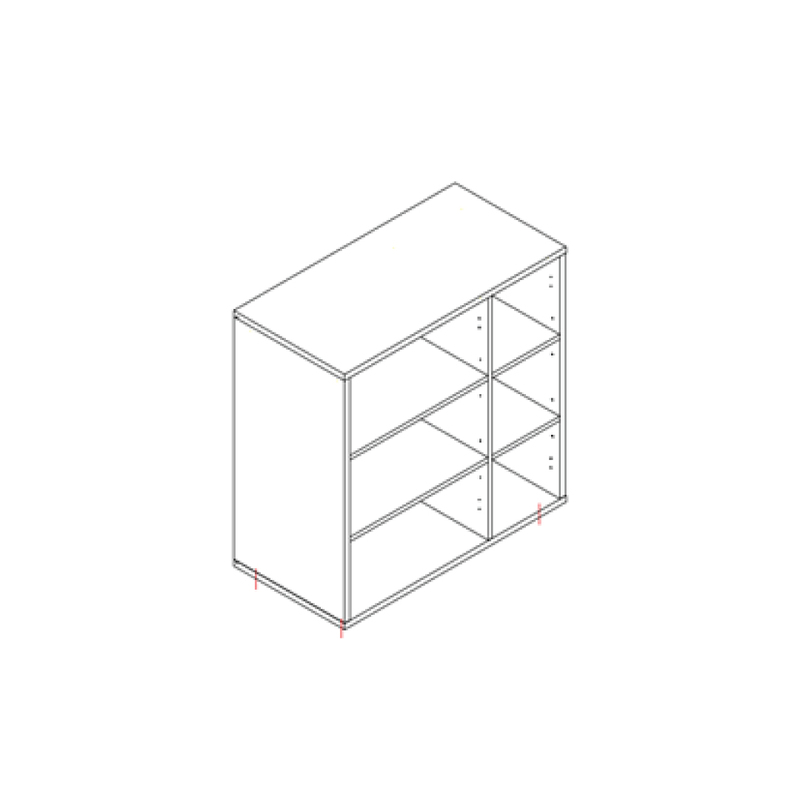 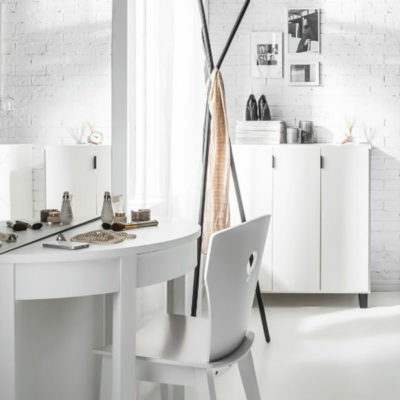 The height of 99.5cm makes it an ideal modern dresser to neatly store clothes, toys or books. 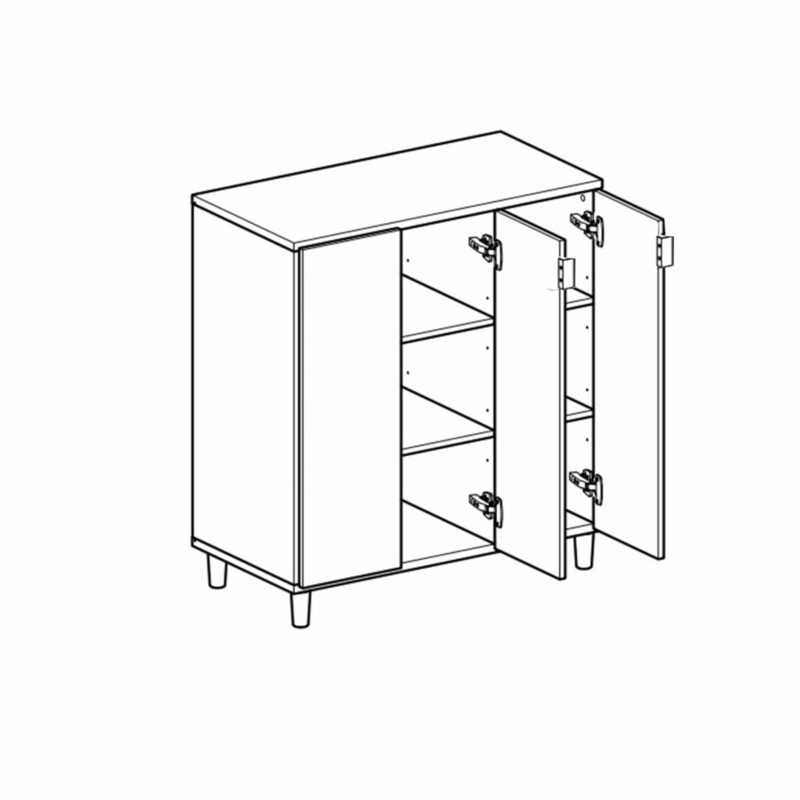 The right-hand door opens to the right side, the middle door to right and the far left door opens to the left.